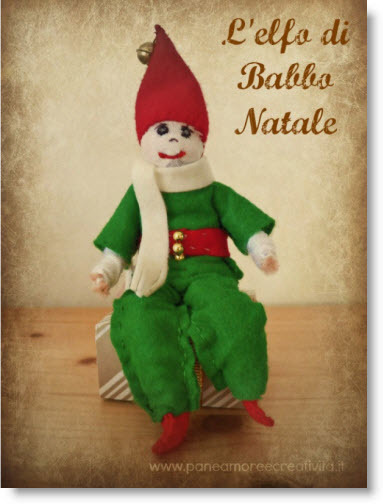 Our friend Linda from Italy has this darling “Santa’s Elf” tutorial so you can make one for your little ones and move it around each night before the holidays and they delight in finding him or her each morning. The “The Elf on The Shelf “book and elf set costs $29.99 with the book, but if you make one you can just buy the book for $7. Again Linda, thank you for sharing this cute little Elf tutorial.